The Seder plate is the focal point of the proceedings on the first (two) night(s) of Passover. Whether it is an ornate silver dish or a humble napkin, it bears the ceremonial foods around which the Seder is based: matzah, the zeroa (shankbone), egg, bitter herbs, charoset paste and karpas vegetable. Preparing these items requires some time. It is best to prepare all the Seder foods before the onset of the holiday, in order to avoid halachic questions. The special foods we eat on Passover are also food for thought. Every item on the Seder plate abounds in meaning and allusion. Here you will learn the descriptions of each of the foods, the reason why it is included, the method of preparing it, and its role in the Seder meal. 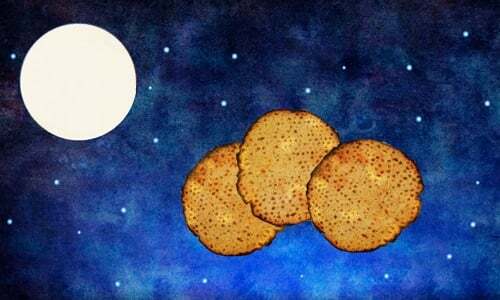 We have three matzot, so that we can break one (as a slave would), and still have two whole matzot over which to recite the Hamotzi blessing (as required on Shabbat and holidays). The matzot are symbolic of the three groups of Jews: Priests, Levites and Israelites. They also commemorate the three measures of fine flour that Abraham told Sarah to bake into matzah when they were visited by the three angels (Genesis 18:6). It is ideal to use handmade shmurah matzah, which has been zealously guarded against moisture from the moment of harvest. You can purchase shmurah matzah here. A piece of roasted meat represents the lamb that was the special paschal sacrifice on the eve of the exodus from Egypt, and annually on the afternoon before Passover in the Holy Temple. Since we don’t want to appear to offer the paschal sacrifice in the absence of the Holy Temple, others take care to use something that is relatively dissimilar to the actual offering. Accordingly, many communities have the custom to use a roasted chicken neck or the like. Preparation: Roast the neck on all sides over an open fire on the stove. Afterwards, some have the custom to remove the majority of the meat of the neck (but not all of it). Role in the Seder: The zeroa is not eaten at the Seder. After the meal it can be refrigerated, and used again on the Seder plate the following night. A hard-boiled egg represents the pre-holiday offering (chagigah) that was brought in the days of the Holy Temple. The meat of this animal constituted the main part of the Passover meal. 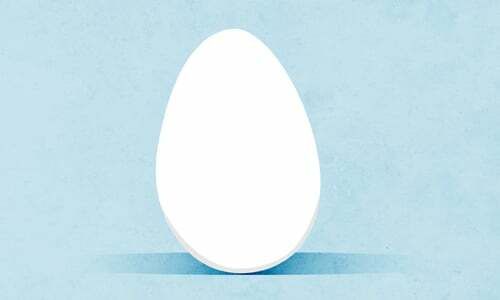 The Aramaic word for “egg” is bei’ah, which is similar to the Aramaic word for “desire,” expressing that this was the night when G‑d desired to redeem us. Role in the Seder: Place one egg on the plate. As soon as the actual meal is about to begin, remove the egg from the Seder plate and use during the meal. A popular custom is to eat these eggs together with the saltwater which was set on the table. Bitter herbs (maror) remind us of the bitterness of the slavery of our forefathers in Egypt. Fresh grated horseradish, and romaine lettuce (or endives), are the most common choices. The leaves of romaine lettuce are not bitter; but the stem, when left to grow in the ground, turns hard and bitter. So it was with our enslavement in Egypt. At first the deceitful approach of Pharaoh was soft and sensible, and the work was done voluntarily and even for pay. Gradually it evolved into forced and cruel labor. Preparation: Peel the raw horseradish roots, rinse and dry well. Next, grate the horseradish with a hand grater or food processor. (This must be done before the holiday begins.) Whoever will be grating the horseradish may begin to shed copious tears or cough a lot. Shielding the mouth and nose with a cloth may help. No beets or other condiments should be added to the horseradish. Depending on how much romaine lettuce is needed, it can take several hours to prepare. This task should be completed before candle-lighting time on the first night. Prepare enough leaves for both nights, and store in the refrigerator. Romaine is preferred over horseradish, and many have the custom to use both kinds together. 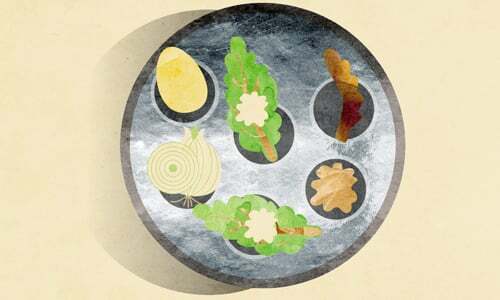 Place a few cleaned, dried leaves of romaine lettuce on the Seder plate, topped with the horseradish. Since this will be used twice, it actually takes two spots on the Seder plate. The top pile (in the center of the plate) is called maror (bitter herbs), while the pile that sits beneath it is referred to as chazeret (lettuce). Role in the Seder: After the recital of most of the Haggadah comes the ritual handwashing. Then matzah is eaten, followed by some maror (taken from the maror pile), followed in turn by a sandwich of matzah and maror (this time taken from the chazeret pile). A mixture of apples, pears, nuts and wine, which resembles the mortar and brick made by the Jews when they toiled for Pharaoh. Preparation: Shell nuts and peel apples and pears, and chop finely. Mix together and add a small amount of wine. Role in the Seder: This is used as a type of relish, into which the maror is dipped (and then shaken off) before eating. Many have the custom to use parsley, called karpas in Hebrew. This vegetable alludes to the backbreaking work of the Jews as slaves, as the Hebrew letters of karpas can be arranged to spell the word perech plus the letter samech. Perech means backbreaking work, and samech is numerically equivalent to 60, referring to 60 myriads, equaling 600,000, which was the number of Jewish males over 20 years of age who were enslaved in Egypt. 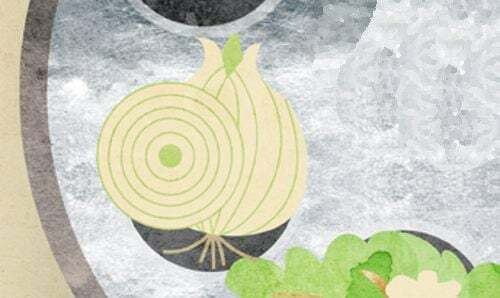 Preparation: Prepare your vegetable, an onion or (boiled) potato in many Eastern European traditions. Cut off a slice and place on Seder plate. On the table, next to the Seder plate, place a small bowl of saltwater. 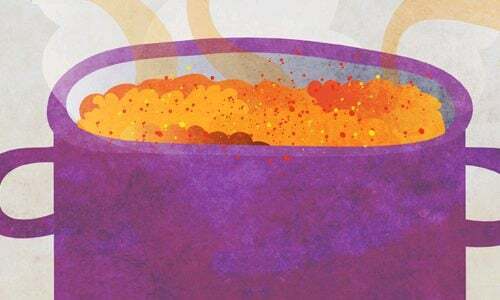 Role in the Seder: After recital of kiddush, the family goes to the sink and ritually washes their hands, but without saying the usual blessing. Everyone then takes a very small piece of the vegetable and dips it in saltwater. After the appropriate blessing is said, the karpas is eaten. Care should be taken that each person eats less than 17 grams (about ½ ounce). Can anyone describe the marvellous Moroccan tradition of circling everyone's head with the Seder plate at the Seder table while chanting "Bi heelu Yatsanu" (we had to leave Egypt in a hurry...)? Judaism loses so much by ignoring the traditions of other jews. Those are possibly 2000 years traditions (Jewish graves that old have been found in some parts of Morocco). Lettuce is Chazeret. According to this article Maror and Chazeret - lettuce are both eaten together and grouped in the sedar as maror. It appears on the sedar plate that maror has a place and chazeret has it's place. Here is the quote from the above text: Romaine is preferred over horseradish, and many have the custom to use both kinds together. 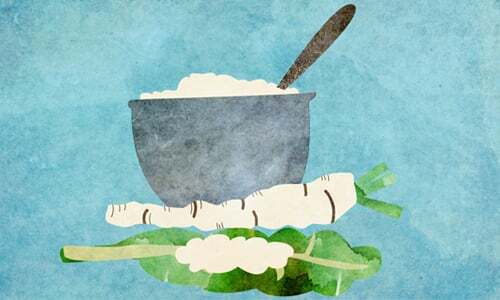 Place a few cleaned, dried leaves of romaine lettuce on the Seder plate, topped with the horseradish. Since this will be used twice, it actually takes two spots on the Seder plate. The top pile (in the center of the plate) is called maror (bitter herbs), while the pile that sits beneath it is referred to as chazeret (lettuce). Celery vs. Parsley If anyone has ever looked at a celery root, and observed the strings within the celery stalk, and the lovely fronds more likely than not, some poeple didn't have access to this during hard times, and parsley was a symbol of green, but dipped into salt water did symbolize the renewal of passing through the red sea. 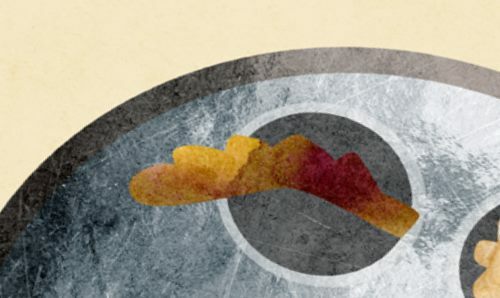 Wasn't the passing through the red sea a foreshadowing of the mikvah to come? Psarsley is what we always used. I think 'tradition' is whatever the family decides on.